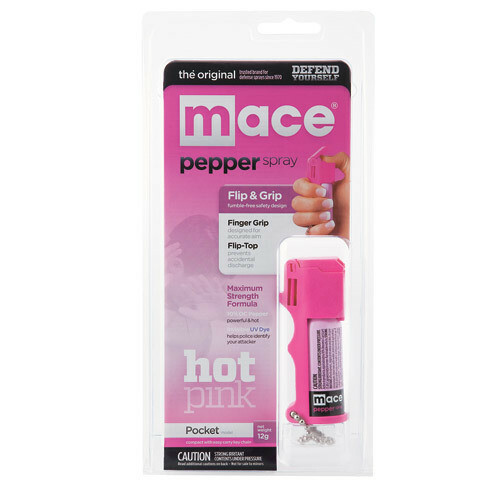 Mace Hot Pink Pepper Sprays come in a wide variety of models for those who prefer to carry their choice of personal defense in stylish pink. This Hot Pink Pocket model features the original Mace Flip & Grip design for safe and fumble-free defense. Additionally, its compact size and key chain make it ideal to keep with your keys or quickly tuck into a pocket or purse before going out. 10% OC Pepper with invisible UV marking dye that can help police identify your attacker. Just spray and get away!